One of the largest cakes in our collection serving 140- 160 people. 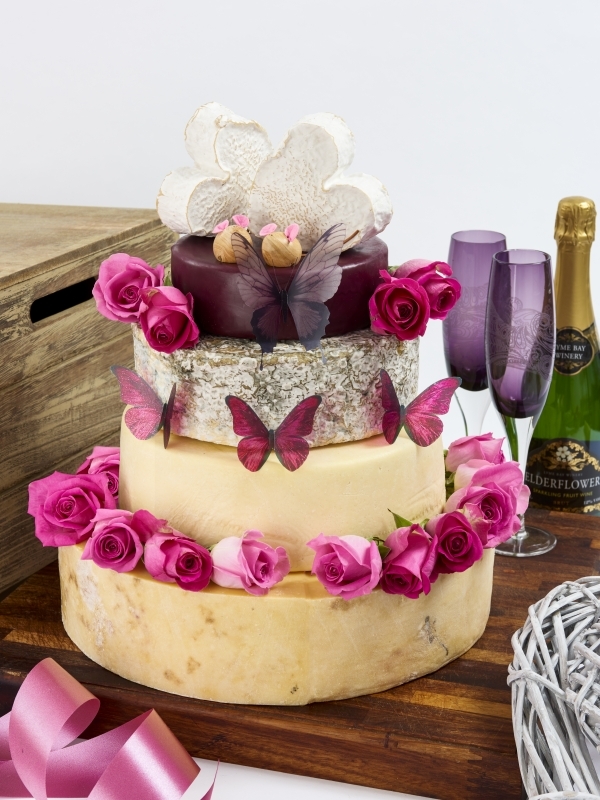 This carefully chosen tower of cheese will make a huge impression on your wedding day. If you would prefer to taste before you buy you can purchase a sample box of all the cheeses that go to make up The Chatsworth Celebration Cheese Cake.